It was a big year for London property markets in the 2015 election year, with big, bold headlines to ring in January as the industry took its first tentative steps, with the prospect of potentially challenging policies in the air. As a leading provider of mid-price and high value property in prime London, we’ve felt like our niche was a target on more than a few occasions last year, but we’re here to say that we’re not worried about our London markets with Christmas now been and gone, and are looking forward to a few challenges and a lot of success in 2016. Property sales were retained throughout the year, and spiked further after the election result, as prime markets breathed a sigh of relief over the disappearance of Labour’s ‘Mansion Tax’ – only to be replaced by Stamp Duty hikes months later. We waded through the headlines with mixed emotions. On the one hand, big property shifts over to London’s fringes were hard to ignore, however, our sales told a different story. We’ve always said that, in the face of industry opinion, people buy and sell property to provide bricks and mortar for their families, and the lustre of London as a hotspot to live and work will entice buyers both in the UK and internationally this year. Like any major city that has a reputation to uphold, developments and policies were drawn up thick and fast. Battersea, Clapham and Wandsworth have all been on the industry radar, thanks in large part to the amount of regeneration in each neighbourhood. The giant Battersea, Clapham and Wandsworth London strip has been earmarked for more greatness over the next five to ten years. Wandsworth and Clapham were both named as middle-class comfort spots early in 2015, with eclectic populations made up of finance city workers, techies and long-timers who have chosen to hold on to their asset for the next generation. 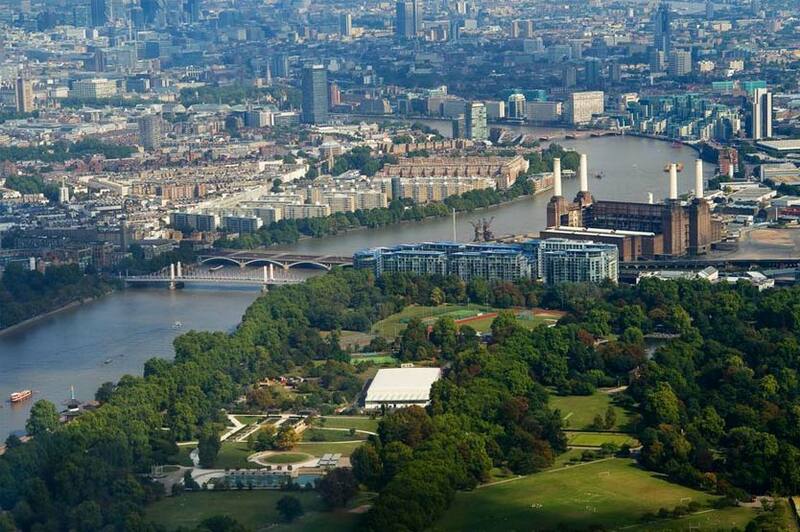 Battersea was also named as one of London’s key regeneration hotspots to watch. London property headlines in the area have been dominated by the seminal development of the historic Battersea Power Station, however, this hasn’t been the whole story! Since 2001, regeneration has been the buzzword in Clapham, from improvements at Clapham Park, to the current award-winning development of Clapham Old Town. Over the coming years, property prices will also be propelled by the opening of a new Crossrail station and Lambeth Council has taken on the role of property developer with its Homes for Lambeth for-profit council house scheme. Elsewhere, Battersea is set to be transformed by two new tube stations – another transport improvement that will prove lucrative for its housing market – a gleaming new high street, 4,000 homes and one of the largest roof gardens in the capital. Property prices in Wandsworth increased by 9% during 2015, with a monthly increase of 1.8%. Developments like the RAM Quarter and The Schoolyard are slightly more understated that the towering chimneys of Battersea’s Power Station, however, they all mark a modernised shift in Wandsworth that is here to stay. Wandsworth is now home to the fourth largest amount of property millionaires in London, behind the likes of Kensington and Chelsea, so this particular market has a set of sturdy foundations to build upon further. It was a busy year for Rampton Baseley, which started off with bumper 2015 spring spending that overtook past spring results by some stretch – in his January blog, Patrick commented that he hadn’t seen such market confidence for almost 15 years. A 20% year-on-year price increase travelled across our markets, with high buyer demand outstripping supply…more than usual! Rampton Baseley defied the headlines in 2015 by opening up a sister office along Bellevue Road to increase our focus on the Wandsworth Common property market. Although there are a number of property agents along the road, our mid-value and high-end offerings will set us apart from the rest and our three standout components: knowledge, people skills and drive by the bucket load. Our expansion only came to fruition once we were confident enough to say: “Yes, this is the right time”, and 2015 provided the property growth and sales to drive the project forward. This further demonstrates the performance of our key property areas, and the number of buyers who are taking the leap onto our ladder. If you’re as positive as we are about our chosen London districts in 2016, give Rampton Baseley a call on 020 7228 5111 to book a professional valuation or discuss your next London property move. We look forward to hearing from you.